Due to a variety of factors, the economy seems to be recovering more quickly in some areas than others. Complicating matters is the fact that scrutiny over judicial review practices in states that require certain foreclosure processes is skewing foreclosure rates across the nation. Based on a purely "by the numbers" approach, certain states are being affected by high rates of individuals who are facing foreclosure. However, it is important to understand that base numbers do not tell the entire story of what is truly happening to a given population. According to recently released statistics, Florida currently possesses the highest foreclosure rate in America, with a rate of just over three percent. Foreclosure activity rose by an astonishing 53 percent in 2012 in the Sunshine State. However, it is worth noting that the state's foreclosure rate has dropped a significant 40 percent overall since its peak in 2010. In addition, the state's unemployment rate is falling significantly, which also speaks to signs of economic recovery. 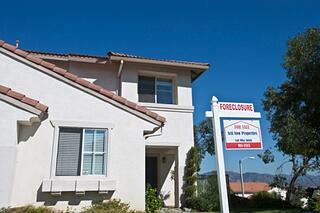 Nevada currently possesses the second-highest foreclosure rate in the nation. However, the state's real estate market and economy are improving drastically. Even though Nevada has a 2.7 percent foreclosure rate, foreclosure activity rates overall dropped by more than 56 percent between 2011 and 2012. If you look at Nevada's foreclosure rate alone, the picture seems bleak. However, when rates are put in context, the future looks as bright as the lights of Las Vegas. Analysis of foreclosure rates in Florida and Nevada proves a critical point. The next time that you read statistics about New Jersey's foreclosure rates, it is important to keep in mind that these rates are affected by a variety of factors and tend to be most effectively analyzed when placed in context. If you are facing New Jersey Foreclosure, contact our bankruptcy attorneys today for a free consultation to see if bankruptcy is the right path for you. Source: AOL, "11 States With the Highest Foreclosure Rates in America"